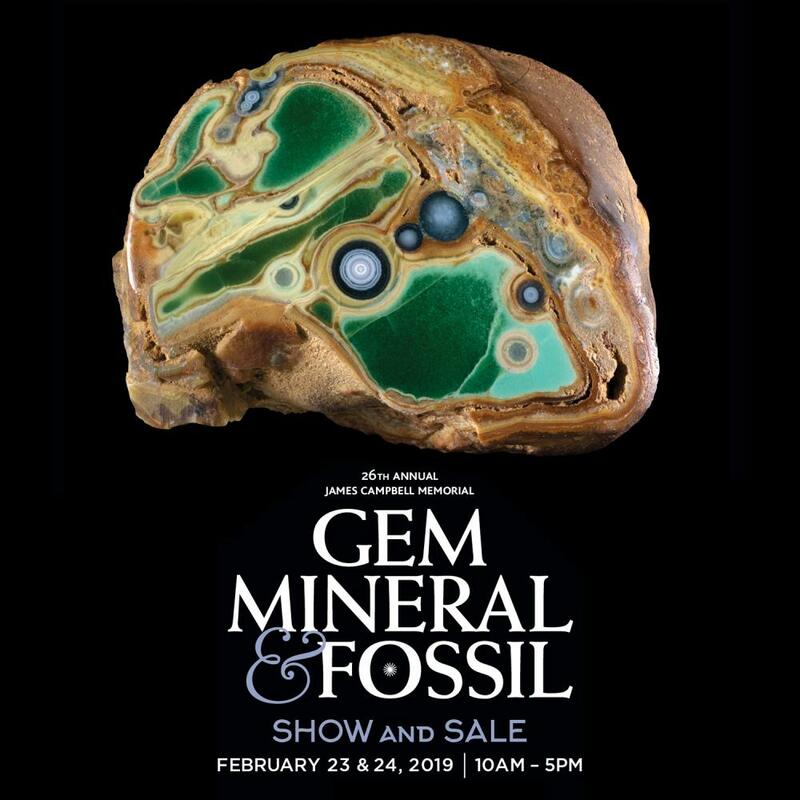 The 26th Annual James Campbell Memorial Gem, Mineral and Fossil Show and Sale will take place on Saturday and Sunday, February 23 and 24, 2019 from 10 AM to 5 PM at the New York State Museum. At the show, vendors display and sell gems, jewelry, minerals, fossils and much more. The yearly event is co-sponsored by the Capital District Mineral Club and the New York Academy of Mineralogy. As in years past, all proceeds benefit the Museum’s mineral acquisition fund. For more information, call 518-474-8774.